my eulogy: ChunkyHacker 0.1 released! Ok, so this is actually my first ever for releasing a program. I've made alot of tools for myself but never released anything. 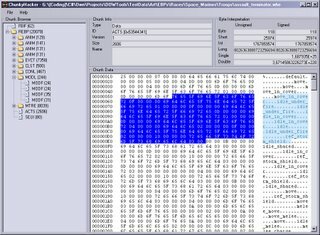 Byte offset - Keep track of where in the chunks data section you are. Character view - Allows you to view the data as characters. 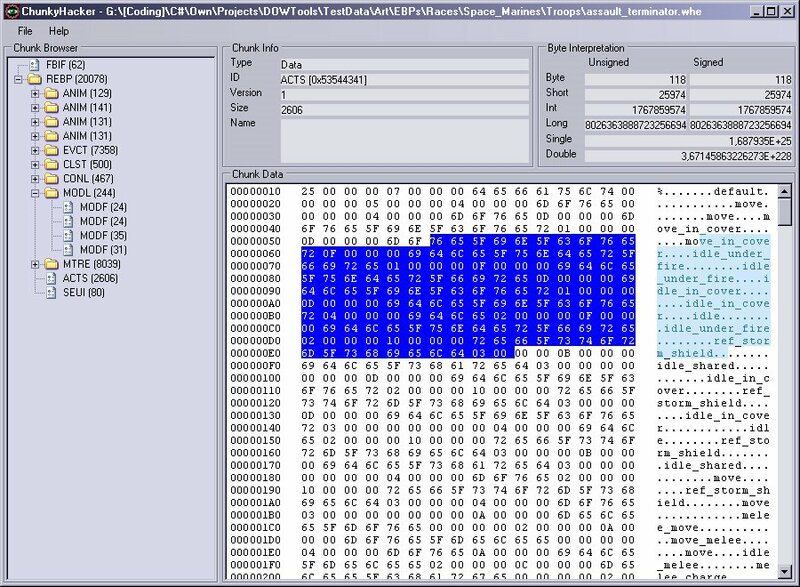 Byte interpretation - Interpret the bytes as most basic datatypes used in binary files. The program can be dowloaded here! Please mail me if you find any bugs or have any suggestions!